Summer months mean more clay masks, light lotions, and more diligent sunscreen application; while winter means heavier creams, moisture sheet masks, and lots of Chapstick. But what about the in-between? The transition time? The je ne sais quoi period between summer and fall, fall and winter, etc etc etc. Each day is a fresh hell of nonsensical weather that makes you regret wearing that face oil because this random October day is sweltering and you can feel the grease shining off your forehead. First off, don’t get sucked into all the hype from media and magazines screaming like banshees for you to SWITCH UP THAT ROUTINE, GIRL. NO BUT REALLY WHAT ARE YOU CRAZY? HOW COULD YOU BE USING THAT LOTION IN WINTER? CREAMS, OILS, BUTTER, CRISCOO!!!!!!!!!!!!! At least, that’s how it feels on my end. Listen, I have cystic acne, large pores, and a fairly oily T-zone. I can’t use heavy creams, regardless of the season. While our skin does change in the seasons, it only changes so much. We don’t need to go crazy and buy all new products just because we flipped a page in our calendars. Don’t just switch to a cream because it’s winter. Instead, maybe go up a level of hydration for winter, but you don’t have to go from a water-light lotion to a heavyweight cream. You should keep the focus of your skincare the same to address your major concern, but now focus your SECONDARY concern on whatever season you’re in. Winter? Your secondary focus should be hydration. Summer? Perhaps your secondary concern is reducing oil. So always think in terms of what’s your primary concern, and what’s your secondary. Nine times out of 10, weather effects on skin are going to be your secondary concern. 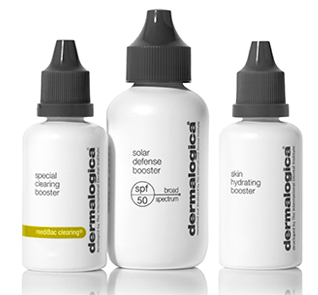 One way to transition your skincare without having to toss it all and do a 180 on your routine, is to employ boosters. Booster can help boost (ehhhh?!) your serum or lotion’s level of hydration, or pore degunking ability, or brightening. These boosters might even be what you trade in and out all year long, while keeping your base serum and moisturizer the same! You can mix and match these tiny bottles of watery substances that you dispense with an eyedropper and mix into your serum, eye cream, or moisturizer. Check out some of the examples below to see if they can help you during the weather transition. Ya, I love their boosters. 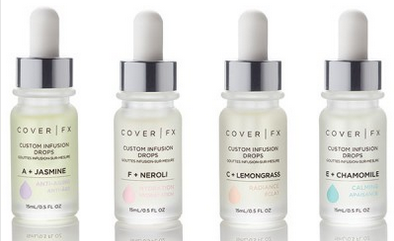 I’m using the Niacinamide booster now and want to buy the hyaluronic acid one STAT! Need some healthy hydration to replenish my skin that’s dried out from by acne prescription lotions! I want all the boosters now! 😛 She needs to offer a booster bundle!